A producing craftsperson who has attained professional status and has passed the PEICC Standards for professional product design and production; 3 items of each medium in which you are currently producing must be submitted to, and approved by, the Standards Committee; must be a resident of P.E.I. for at least 6 months of each year and the crafts must be produced during that residency. Non-resident professional membership is available upon review and acceptance by the Standards Committee. Two or more people working in the same or different mediums (i.e. an apprentice, hired staff, etc. ); Active members must be producing craftspeople (owners/principals of business); 3 items of each medium currently produced by the business must be submitted to, and approved by, the Standards Committee; if working in various mediums or on separate products in the same medium, family members must submit individually; items must be sold under the business or owners name; owner and/or principals of business must be residents of P.E.I. for at least 6 month of each year and the crafts must be produced during that residency. Open to people who are engaged in the Craft sector but have not yet attained Professional status or who do not necessarily produce items for retail sales. This class in oriented to getting the part-time craftsperson involved with the Council and its programs, in the hopes that they will progress into the professional status in the future. Applicants to the Craft Professional Membership must complete the Jurying Process. For more information on this process, please review the Standards Booklet and the Jury Application Form (online / printable PDF). If you would like to partake in the next Jury Process, all Items, the Jury Application Form and the Jury payment must be dropped off at the PEI Crafts Council Office must dropped off between April 24-30th* at the PEI Crafts Council Office. *Items will not be accepted before or after those dates. If you have successful completed the Jurying Process or if you are renewing your existing membership, please submit your Membership Form online or via printable PDF. When does product assessment (jurying) take place? 3 times a year, February 1, May 1, October 1. On what basis are the products assessed? Originality of design and/or execution of traditional design (40 points), Understanding of material & suitability for the design; form & function (20 points), Quality of workmanship (40 points) . *See the Standards Guidelines document for more detailed descriptions. Applicants must receive a minimum of 65 points for each item to pass. What if I do not receive 65 points? Applicants are encouraged to work with mentors to address any weak areas in the products and to re-apply at a later date. Do I receive a copy of my product assessment? Yes. The process is transparent and is designed to encourage and assist crafts people. Mentoring services are available, contact the PEICC. Can I participate in the Christmas Craft Fair? Successful applicants who purchase a membership may participate in the Christmas Craft Fair at The Delta hotel each November. What other events can I participate in? 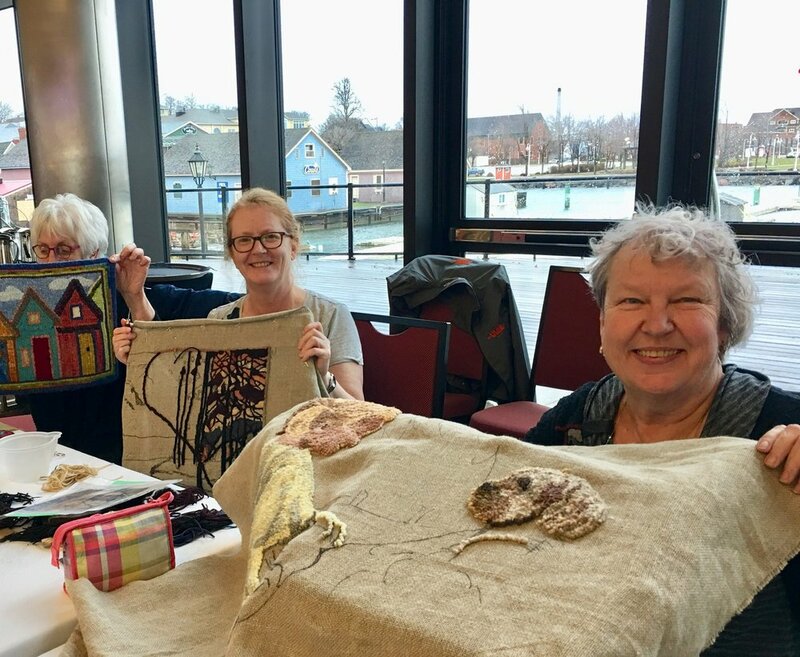 Successful applicants may apply to participate in Craft Fairs run by other provincial Craft Councils. Who conducts the product assessment (jurying)? Only our juried members are able to enter our Christmas Craft Fair. Juried and General Members will be eligible to enter our other markets. Members are eligible to receive up to $500 for courses, workshops, conferences, study tours and specialized research. Monies for this fund are raised by the Crafts Council. Applicants must apply before the planned course or event. Upon completion of the professional development, recipients are required to present a report at the following AGM. At the PEI Crafts Council office we have two lightboxes for professional members to use to photograph their work. One of them is portable and small enough to be taken out of the office for use at home. Please contact us if you’re interested in using this service. Interest-free loans to help craftspeople purchase materials (and in some cases equipment and building supplies) in the off season, when income is limited. Members will be the first to receive news about upcoming opportunities via our special members newsletters. Sign up here. The PEI Crafts Council has two display cases in Gateway Village which feature our members works. They offer excellent exposure to tourist visitors and are a great way to get people to visit your studio or craft shop. If you are a juried member of PEICC and would like to have your work included in this years display please fill out the following form:.